Three schools have apologised to the families of children with special educational needs after initially refusing to accept them as pupils. Settlements were reached in cases brought against Wallace High School, Lisburn, St Brigid's College, Londonderry, and Lislagan Primary School in Ballymoney. The schools had been identified as suitable by the education authorities. The families ended up sending their children to alternative schools. The families brought cases against each school to the Special Educational Needs and Disability Tribunal with the support of the Equality Commission. 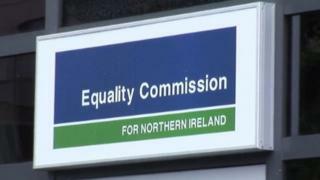 The Equality Commission said the schools had also agreed to work with the commission to ensure their procedures and policies conform with the law. Michael Wardlow, chief commissioner with the Equality Commission, said there was a "lesson from these cases for every school". "When a disabled child applies for a place, they should proactively give proper consideration to how they can adapt to meet the needs of that pupil. "These are children who have enough barriers facing them in life. "They don't need the additional barriers that can be thrown up when schools decide that their needs cannot be accommodated." He added: "The children who are at the heart of each case have moved on with their education and we wish them well as they progress through life. "By challenging the decisions which were taken they, and their families, hope to ensure that other children, in similar circumstances, can avoid the additional, and unnecessary, difficulties which were placed before them." Wallace High School said that a £3.2m investment in a school enhancement programme would secure a "significant improvement in disability access for all young people, staff, parents and other visitors to our school".